Justice for Victim? 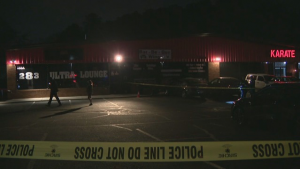 Parking Lot Shooting Outside 283 Ultra Lounge Leaves One Injured. Could this nightclub shooting have been prevented and are justice and compensation available to the victim? Do the owners have any protocol for controlling ingress and egress to the parking lot? What parking lot security measures, such as bright lighting, visible surveillance cameras, and security personnel, were in place to deter crime and protect the victim and others at the time of the shooting? Generally, property owners are required to protect all those legally on the premises from any foreseeable harm. Should the facts of this matter reveal that the parking lot owner or manager failed to provide adequate security to protect those on the premises, the victim may seek justice and elect to pursue legal claims for his injuries. 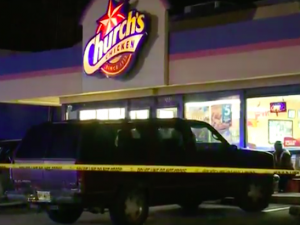 1 Killed, 2 Injured in Lithonia Popeyes Shooting; Fatal Security Lapse? Could this tragic loss have been prevented, and are justice and compensation available to the victims and their families? 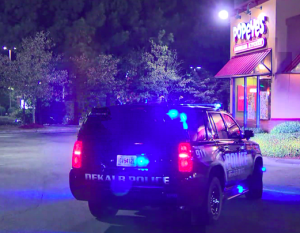 Three people were shot when gunfire broke out “at the Popeyes in the 3000 block of Panola Road” Monday night, October 22, 2018, according to 11 Alive. Was negligent security a factor in this fatal Lithonia fast food restaurant shooting? Read Our Legal Take below to find out if the victim’s family may have legal avenues for justice and claims for substantial compensation in Georgia. Restaurant and parking lot patrons have a right to feel safe and secure while on the premises. The Murray Law Firm questions the level of security provided at the fast food restaurant and whether this tragedy may have been prevented. Have there been prior incidents of violence on or near property? What security measures, such as bright lighting, clear sight lines, monitored surveillance cameras, and visible security patrols, were in place to deter crime and protect the victims at the time of the shooting? By law, property owners in Georgia are required to protect all those legally on the premises from any foreseeable harm. Should the facts of this matter reveal that the property owners failed to provide adequate security, the victim’s family may seek justice and elect to pursue legal claims for their loss. Additionally, the surviving victims may pursue legal claims for their injuries.